ZTE has traditionally made its money and built its market share with budget devices and free devices, but now the Chinese manufacturer is planning high-end devices for the US market. Even just a couple days ago we saw new ZTE budget phones that are headed to Virgin Mobile, but the company wants to move past the budget market. ZTE's North American CEO Lixin Cheng told the Wall Street Journal that the company is in talks with all four major US carriers to bring high-end phones to market. Cheng said the high-end phones are aiming to be on par with the iPhone as far as features, but be more affordable, and that the company is looking into both Android and Windows Phone 7 for the devices. Of course, even a statement like that comes off as if ZTE doesn't fully understand the high-end smartphone market, because if you're planning to put out a high-end Android or WP7 phone, you're already on par with (or ahead of, depending on who you ask) the iPhone in terms of features. Perhaps it was just a marketing ploy in calling out the iPhone directly. 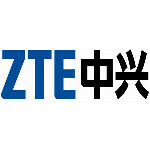 Either way, Cheng expects the USA to be a huge market for ZTE and projects that the US will be the company's biggest market by 2015. This points to a full force effort by ZTE to bring quality phones to the US market, so we're excited to see what the company can offer. I said before -- gve them 2 years and lots of trial and error in their handsets, and then watch them eat Samsung's lunch. ZTE will take share from the existing android OEMs. The rule is simple -- companies that innovate and develop new products spend billions to bring these ideas to market. The competitors didn't spend the billions but are able to capitalize on the new technologies, manufacturing processes, etc. Also, no matter what new spec's Samsung uses, the competitors have access to alternatives. This is EXACTLY what Google wanted in its desire to blanket the world with android. Blame Google for making android a FREE os.